The dangerous heat has hit Southern California and we hope everyone is taking measures to stay cool and hydrated. Though we aren't experiencing the rain of the Bengali month of Shrabon, we can still immense in the sea of Hemanta Mukherjee songs that Sagnik Sen will be rendering and travel back to the Golden Era of Indian Music. Join us this Saturday on July 28th at Sanatan Dharma Temple (15311 Pioneer Blvd. Norwalk, CA 90650). The event is free for annual members/sponsors and the suggested donation otherwise is: $20/person, $35/couple, and $40/family. Please RSVP by July 26th to avoid a shortage or and wastage of food. Our Food Committee will be working hard all day Saturday to prepare a delicious dinner for all of us to enjoy after the show. 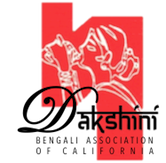 We are proud to announce that 6 kids will be awarded the Dakshini High School Graduate Scholarship Awards! Late Commander Sabyasachi Chatterjee & Mrs. Latika Chatterjee Scholarship Awards recipients: Titash Biswas (MIT), Shaonee Mitra (UCI), and Shameek Mitra (UCLA) (these awards are sponsored by Dr. Purnima Thakran and Mr. Khalid Khan). We will be celebrating Durga Puja during the weekend of October 12th-14th at the Centinela Valley Center for the Arts. As you all know, our grand artist for this year is Padma Shri Kavita Krishnamurthy! This year we are calling all members/affiliates to self-reserve their seats for the Kavita Krishnamurthy show (October 13th, 2018). Please donate and reserve early to get your preferred seats! The good seats are already going away! There are 3 methods for sending donations: Check, PayPal, and Zelle. Please click on the method you will be using to donate and you will be redirected to an e-donation record form. While filling out the form, you will have the opportunity to enter the desired number of tickets for adults and kids, view the available seats on the seating chart, and enter your desired seats. Following completion of the form, you may donate via your preferred method. After we receive your payment, we will confirm and block your seats.